National Black Golf Hall of Fame Celebrates 25 Years! Hey golfers of Tampa Bay, Alex here to tell you how you can help support youth golf and academic programs by spending the weekend on the course. The National Black Golf Hall of Fame will celebrate its 25th year with a weekend full of golf, food and beautiful Tampa Bay weather. Dinner begins at 7:30 PM with a cocktail reception starting at 6:30 p.m. at Embassy Suites Hotel University of South Florida. Single tickets are $125 per person, couples are $225 and reserved tables are $1,250. 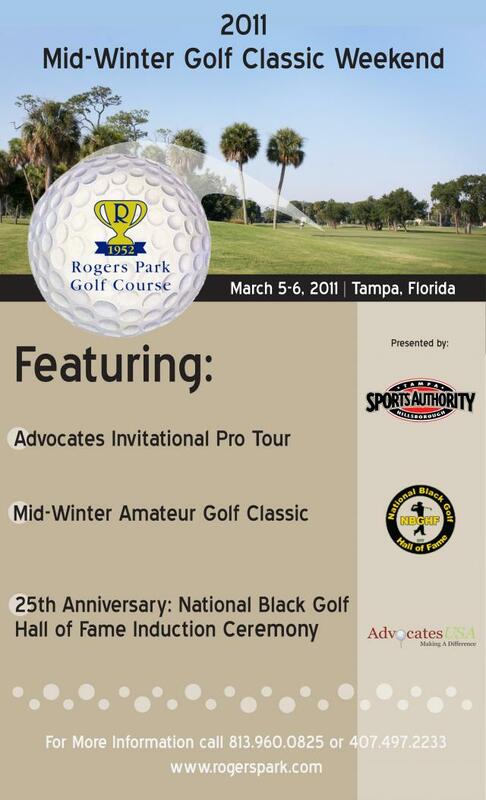 Contact John Simpson at 407.497.2233 or john@nationalblackgolfhalloffame.com. 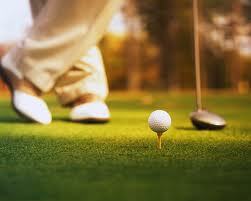 The Mid Winter Amateur Golf Classic is a 36-hole stroke play amateur event, with multiple flights and prizes. The event is limited to the first 60 male and female registrants. The entry fee is $195 and includes green fees and carts for both days, and a ticket to the National Black Golf Hall of Fame Induction Dinner, on Saturday, March 5. Golf Only is available for $125. For tournament details Contact Pro Shop at Rogers Park GC at 813.356.1670 of visit www.rogersparkgc.com. The 2nd year of the Advocates Invitational Pro Tour! This 36-hole professional golf tournament, at historic Rogers Park Golf Course, is a must play for aspiring professionals! The intent of the Advocates Tour is to create tournament experiences, with prize money, for aspiring African American golfers. The event will be the first of four 2011 events sponsored and promoted by Advocates USA. The 3-tournament series will conclude with one golfer receiving entry fees and expenses into the 2011 PGA TOUR qualifying school. For details on the Advocates Invitational Pro Tour, contact Adrian Stills, Tournament Director, at 850.418.3113 of visit www.advocatesgolf.org. Don&apos;t wait to long to get your tickets for the celebration dinner or golf classic, time is running out! Check out, http://www.nationalblackgolfhalloffame.com./2011/index.html, for more information on the National Black Golf Hall of Fame. That’s it for now Tampa Bay, but you know to check back with us often for more information on Things To Do in Tampa Bay.